Ziggurat is a first person shooter where we will be a novice witch, with lots of spells at our disposal, with frenetic combat through deep dungeons filled with enemies. We will move through dangerous challenges to prove ourselves and to become a powerful wizard. Contains elements of RPG games, as level increases, and typical Roguelike games elements, where the art of stealth is an important strategy. We will face mighty bosses to get their treasures and we will wander through dungeons where enemies and traps make our lives impossible. A dynamic and fun title, perfect for a few hours destroying demons with powerful spells, as we go by leveling up and improving our skills. 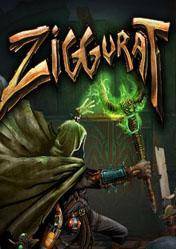 There are no comments yet about Ziggurat . You can be the first one!